Beat This Caption Contest 174 Winner – Caption Contest Funny Clever Witty Enter Today! 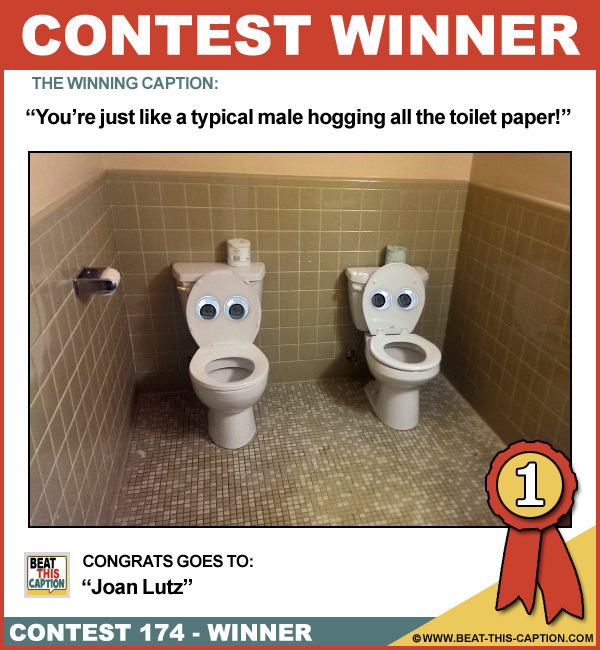 You’re just like a typical male hogging all the toilet paper! Great Caption! Leave the toilet seat up and we’ll talk… :) You WIN! Oh God! Did you burp? I always hate working during the Denny’s Grand Slam breakfast promotion!